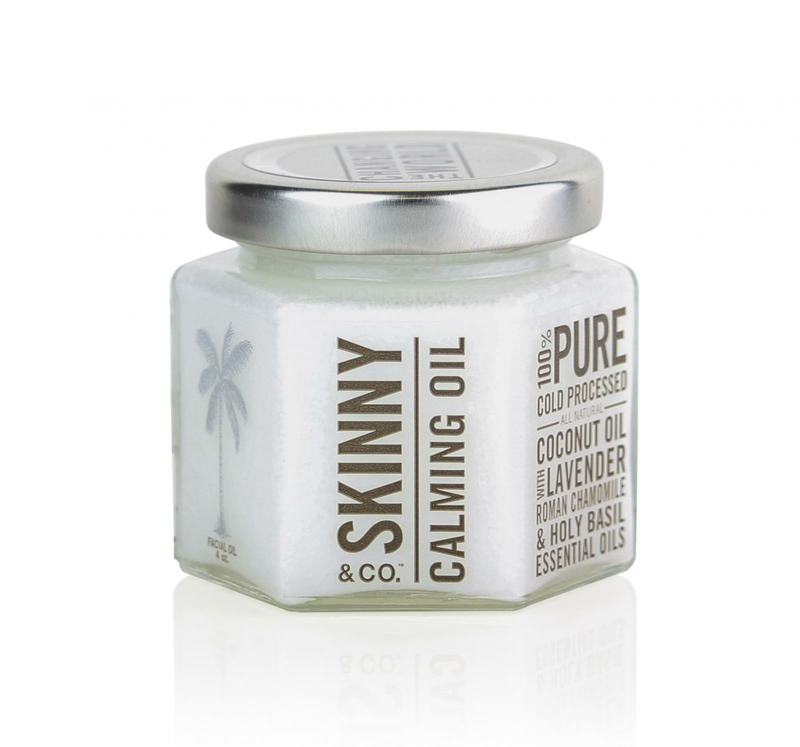 The Skinny & Co. Facial Oil is one of our top sellers for an obvious reason: it is a three in one product! This amazing jar contains some of the most calming essential oils in the world. This facial oil is best used to remove stubborn makeup with ease, then wipe off with a warm cloth. A little goes a long way with all coconut oil products and it has a long shelf life. It will not irritate eyes or skin because just like all Skinny & Co. products, it is not made with any chemicals or preservatives. A great bonus tip is to add this to the tops of the cheekbones or decollate as a light highlight once makeup is applied.